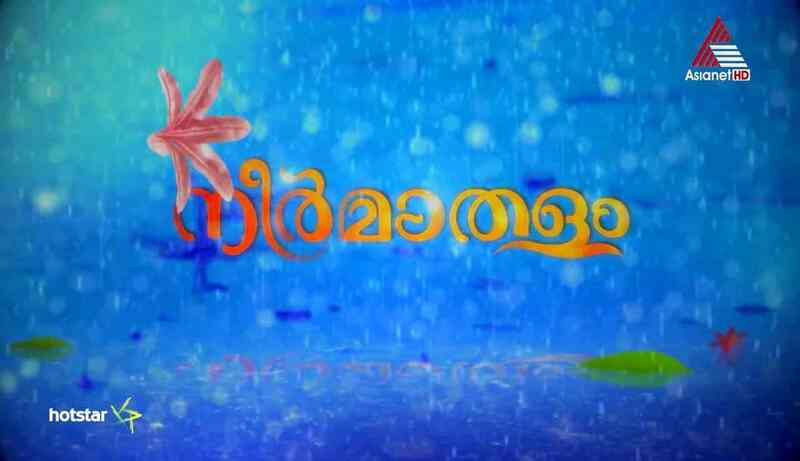 Leading Malayalam General Entertainment Channel Asianet Launching a latest television serial named Neermathalam from monday, 1st may 2017. we have posted about a serial named Chandrakantham here, asianet changed it’s name and launching as neer mathalam. Every monday to friday at 6.30 p.m to 7.00 p.m is the telecast time of this horror serial. Asianet have wind up serial pranayam and launching this fantasy/horror subject. Asianet is the leading malayalam channel and they are placed at top 1 positions in latest barc ratings. only asianet shows and serials listed in top 5 shows. Neer mathalam telling he story of gowri, she killed in a bungalow named Chandrakantham. This serial unveiling the reason behind gaowri’s death. Dr S Janardhanan is the director of this serial, he is a popular film/serial director. After a short gap he is back in mini screen through this serial. Popular malayalam serial actress Rebecca Santhosh is playing the character gouri in this asianet serial. Sreekkutty, Vrinda, Venu, Stebin Jacob (he is now doing an important character in zee keralam channel serial chembarathi) etc are the other stars appearing in neer mathalam tv serial. Dr S Janardhanan introducing some new faces through this serial, popular stars and new faces playing major roles. check the updated prime time serials and program schedules of Asianet from 1st may 2017. there is some changes, pranayam serial completes the telecast and new serial launching.